Dr. Leisa Carson is our veterinarian in Windsor here at The Vets Animal Hospital. We provide compassionate, quality care for your animal companions, while helping to promote and strengthen the bond that they share with their guardians. Our staff is responsible as a team to offer friendly, efficient and competent service for our pet parents through the sharing of our knowledge, skills and ideas. We believe in providing the highest standard of medical care while creating a friendly and welcoming atmosphere. We also promise to communicate with you to make sure you are informed about your pet's health. 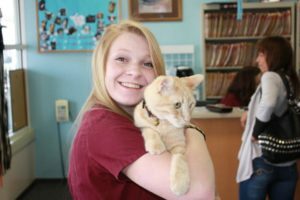 The goal at The Vets Animal Clinic is to create and maintain a pleasant, friendly work environment for our staff, while keeping sight of our professional commitments and goals. We maintain an open door policy to make sure you and your pets are comfortable! Patients are seen by appointment at our veterinary clinic in Windsor. We also offer an emergency nurse line to answer any questions 7 days a week until midnight. House calls are also available on a case by case basis.